But out of that tragic history and the unresolved tragedy of the divided Korean peninsula the spirit of the vibrant Catholic community continues to touch countless lives – both through its institutional life and increasingly through popular culture. I recently wrote about the movie celebrating Fr.Lee Tae Sok, whose work among the lepers of Southern Sudan has fired the imagination of thousands of Korean people (https://davidalton.net/2011/08/31/john-lee-tae-sok-korean-schweitzer-among-sudans-lepers-dont-cry-for-me-sudan/). He was nurtured in a Church which now comprises around 12% of the population and has created a hugely impressive network of universities, schools, hospitals, broadcasting outlets, and lay people committed to entering the public and political life of their nation. But even more extraordinary and intriguing is the way in which Catholic identity and Korean identity have merged with one another, positively affecting attitudes and values; and how Catholic themes and Korean themes – such as the intrinsic worth of every human being; issues of human dignity; the commemoration of those who went before; and the value we attach to the family have synthesised so strongly. 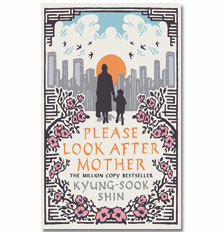 Take, for instance, one of the best books which I have read this year: “Please Look After Mother”, a beautifully crafted novel by the Korean writer Kyung-Sook Shin. It has deservedly sold more than a million copies worldwide. Available in nineteen countries, it is a spiritual classic and deserves to be read as such. Translated into English this triumph of creative writing is a wonderful example of the increasing globalisation and worldwide appeal of Korean literature. It explores issues which unite our cultures. It also introduces us to a growing band of female Korean writers blessed with great and sensitive insight. The Korean mother who emerges in Kyung-Sook Shin’s novel could be any of our mothers. Affected by dementia she accompanies her husband to visit her children in the city. Separated from her husband as they try to board a train in Seoul, her husband is helpless as he leaves her stranded on the platform. It will be the last time he sees her. The novel then takes up the affecting story of her children’s subsequent attempts to find her; now looking at their mother through different lens and from different points of view. As the story unravels we learn about her children and about the family’s secrets. Memories are recalled of a simple life in a tougher but more innocent time. Her distraught daughter tries to piece together a picture of the woman who has now been lost but whose memory mustn’t be. There are touching vignettes. Mother, she recalled, had once told of her ambition to walk the pilgrim route to Santiago de Compostela, knowing that in reality she would never leave Korea. She insists that it will be different for her children, confidently telling her daughter that one day the girl will visit “the smallest country in the world” and there she is to get her a rosewood rosary – a memory which returns while trying to come to terms with the failure to find her mother. With a boyfriend the daughter does indeed travel to Rome and in St.Peter’s basilica she prays that God will “look after mother”. Remembering her mother’s words she finds a rosewood rosary. In learning about the woman whom they have lost her children also discover that their mother had been quietly given away the money they had posted to her each week, giving it to the church orphanage, where, unbeknown to them, mother had become a volunteer. Overcoming illiteracy she had proudly read her daughter’s writing to the children. It reminds us of how little we sometimes really know about the people who mean the most to us. Born in 1963 in Jeolla Province in the South of Korea, like the character in her fiction, Shin was born in a rural village, the fourth child and first daughter of a family of six. Her parents were subsistence farmers and struggled to pay school fees. 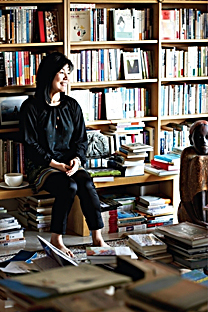 Shin went to live with her older brother in Seoul and her first foray into publishing came in 1985 with “Winter’s Fable”, followed in 1988 with a collection of short stories. Her subsequent works have been widely acclaimed and she is the recipient of the Manhae Literature Prize, the Dong-in Literature Prize, and the Yi Sang Literary Prize, as well as the French Prix de l’Inaperçu. But above all, this is a religious and spiritual book; appropriate to celebrate in this month when Korea’s great Catholic men and women are remembered in the liturgies of the Church.